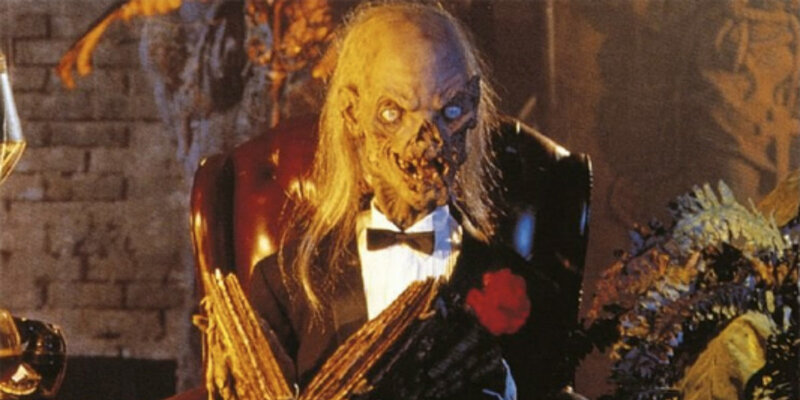 Some viewers of HBO in the early 1990s might remember watching the horror anthology show Tales from the Crypt, which featured several notable guest stars and directors over the course of its seven seasons on the air. The program was originally conceived as an adaptation of the EC Comics series of the same name from the 1950s, and was one of the few anthology shows of the time to air on a premium cable network and thus enjoy full creative freedom from network standards and practices. The property has since become something of a novelty, though it has continued to attract the attention for a potential reboot, and the latest word relating to the franchise might just point to an actual return of the show in the near future, with one notable genre director serving as executive producer. According to tvinsider, M. Night Shyamalan and TNT are looking to develop a reboot as a part of a new two-hour horror and suspense programming block, with more associated projects to be announced later. Following the generally favorable reception that Shyamalan's latest feature film, The Visit, received last year, and building upon the network's past working relationship with the director on the original series Wayward Pines, both parties appear primed to get to work on another project together. "This is a new genre for us in our series efforts, and a great chance to partner with M. Night Shyamalan, whose blockbuster hit The Visit reminded movie audiences and critics this past summer that he truly is a master of horror. This two-hour horror block demonstrates not only TNT's commitment to working with today's top talents, but also our strategy to stand out in today's marketplace by challenging the conventional rules of programming and scheduling." With any luck, fans of Tales from the Crypt will see a return to the cult-classic EC Comics franchise on the small screen sometime within the next few years. Knowing that a genre director as established as Shyamalan will be working as executive producer with TNT in the reboot's development is promising, though only time will tell how the finished product will ultimately turn out. Screen Rant will keep you informed on all updates relating to the reboot of Tales from the Crypt.